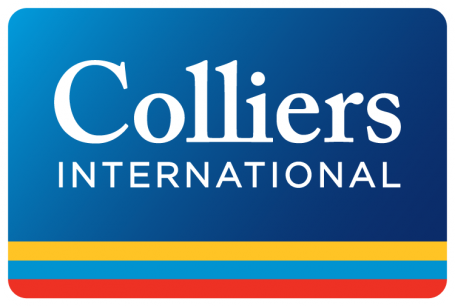 LONDON, July 20, 2015 – It is harder than ever to find good new large (5,000 sqm plus) office suites in many of Europe’s major cities, which poses a real threat to companies expansion plans, according to research published by global property experts, Colliers International. The 5,000 sqm Report reveals that availability of larger office premises in 22 key European markets has decreased by 12 per cent in the last 12 months with the largest falls seen in Moscow, Central London, Berlin, Frankfurt, Madrid and Lisbon. Ford continues: “Corporates are facing a lack of choice; especially when it comes to a central location. Our research tells us that only 19% of the options available were in central business districts. And we expect further constraint on the back of increased demand for space fuelled by an improving economic situation across Europe. “What’s also interesting is the picture in Central London has seen a sharp reduction in the total number of large offices available (down from 60 to 44) within the past year. The relative quality of what is available has also fallen. Occupiers prepared to look beyond Central London will have a much wider choice. There are 723 larger offices (5,000 sqm) available in the major European cities (if previously occupied, refurbished and under-construction properties are included), with Moscow (71), Central Paris & La Défense (62), Amsterdam (61) and Munich (52) coming out on top. Availability has increased significantly in just a handful of cities. Thanks to high levels of construction, supply is growing in Istanbul and Zurich, and there’s a modest lift in availability in Munich. Occupiers wanting newly-built offices will find their choice increasingly limited. The proportion of newly-built offices is falling (down from 30 per cent to 27 per cent) and the proportion of previously used office space is rising (up from 48 per cent last year to 55 per cent this year). New premises are more likely to be available in Central Europe, Eastern Europe and Turkey, where the share of new and under construction larger offices remains high (73 per cent).